When interplanetary miners uncover an alien relic beneath the surface of Mars, physicist Lance Kattar is offered a chance to take part in what many of his contemporaries believe is the most important discovery in history: a device containing nanotech far beyond human capabilities, left behind by an ancient civilization, long since extinct. The moment Lance interacts with this device, however, he triggers a series of cataclysmic events that threaten the very fabric of existence. Aided by a group of survivors, Lance embarks on a desperate race to unravel the mystery of the ancient artifact from Mars, before it collapses into a singularity of world-ending possibilities. 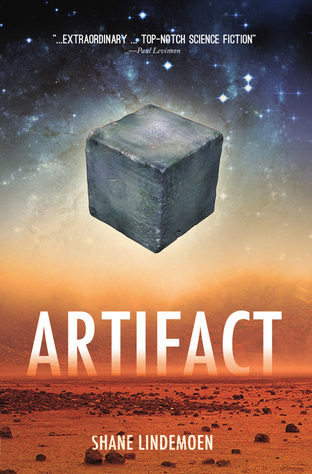 Artifact was written out of love of science and science-fiction. In the same way The Matrix spoke about the epistemological snare of reality – and how we ultimately determine what is real, and what isn't – Artifact looks at blending the post-apocalyptic story, such as Night of the Living Dead, Dawn of the Dead and 28 Days Later, with mind teasing, claustrophobic narratives such as Memento, Inception, and Dark City. It's a genre bender, connected by a common theme: reality is nothing more than the sum of our dreams. "Shane Lindemoen has a knack for the spectacular, and his deftly plotted debut is like Bradbury's The Martian Chronicles run through the sieve of Kubrick's 2001, reshot by Christopher Nolan in the year 2020. Artifact is the type of book William S. Burroughs might have kept on his reading list: the science fiction of ideas meant to tell us about the present through the illusion of our possible futures." --Davis Schneiderman is the author of Drain (Northwestern), the DEAD/BOOKS trilogy--Blank, [SIC], Ink. (Jaded Ibis). "Insanely imaginative and thought-provoking. Artifact delivers a mind-bending high, in which nothing is what it seems and everything is exactly what it appears to be." --Mark Budz, author of Clade, Idolon and Till Human Voices Wake Us.